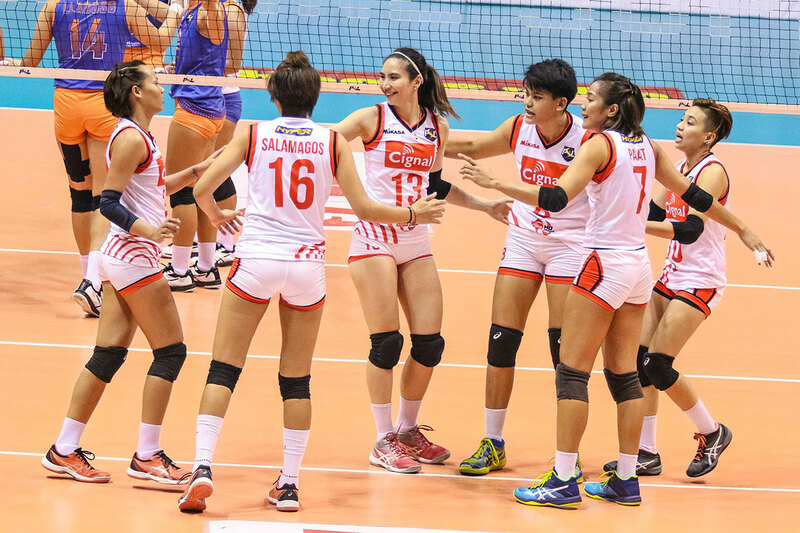 It was just their fourth match of the 2018 Chooks to Go-Philippine Superliga All-Filipino Conference, but the Cignal HD Spikers celebrated like they had won a championship. 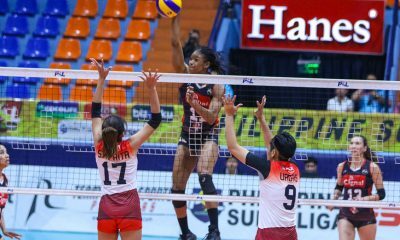 Aside from finally getting reprieve from the grueling five-setter against the scrappy Generika-Ayala Lifesavers, Cignal HD felt vindicated from the controversy in their previous loss. Head coach Edgar Barroga was dealt a yellow and a red card in the fourth set of their loss to the Foton Tornadoes, causing him to sit out as him team suffered another loss. On the verge of letting the match against Generika-Ayala slip away, veteran Rachel Daquis fired in hits that kept forcing deuces in the fifth set, before the Lifesavers eventually ran out of gas. Each of their two wins have come in dramatic five-setters, and Daquis is always raring to give her team a boost in crucial moments. “Talagang all-out na ako – palo kung palo! Gustong-gusto ko kasi talaga manalo para sa team,” said the former National Team campaigner, who tallied 20 points against Generika. With a 2-2 record, Daquis is keen for Cignal to start working out the kinks in their game and develop more chemistry. “Magandang learning para sa amin [‘yung last game namin]. Lumalabas na lahat ng mga nagiging problema. ‘Yun kasi ‘yung nagmo-mold sa amin para maging strong pa as a team,” thought the 30-year-old open spiker.